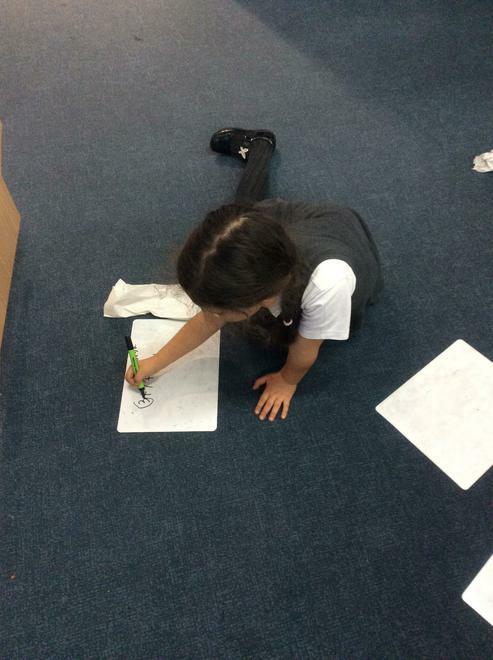 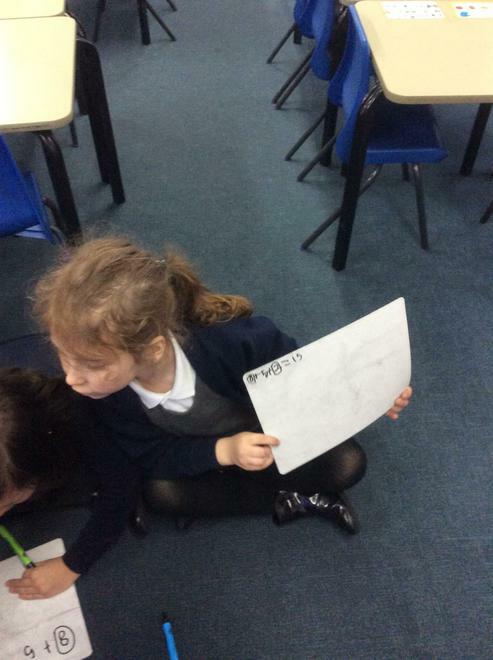 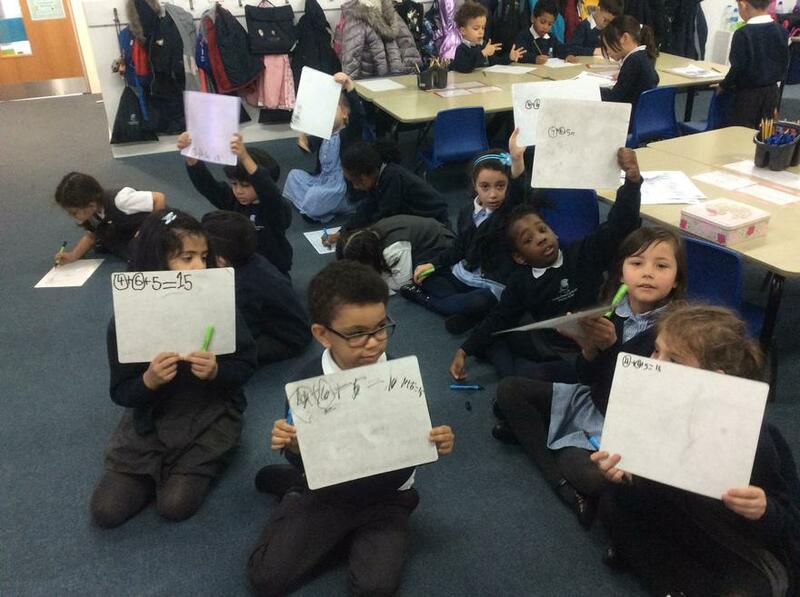 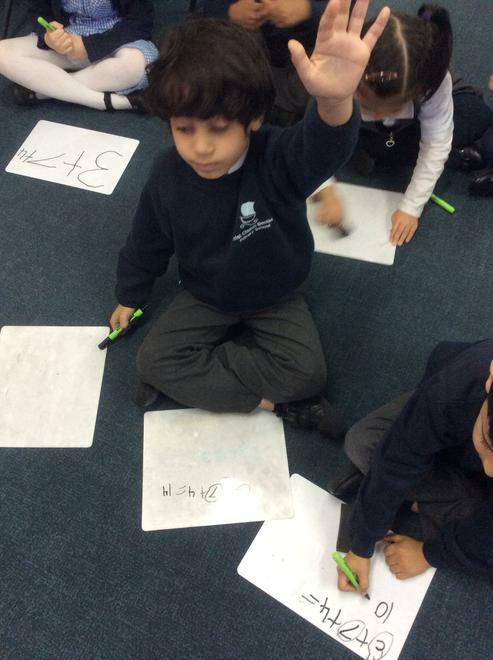 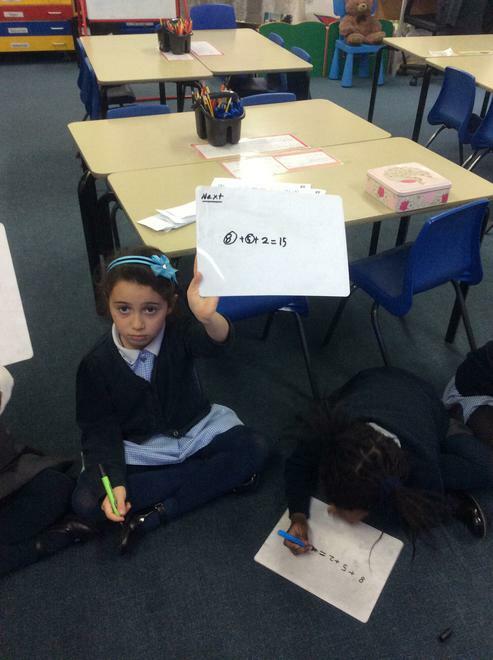 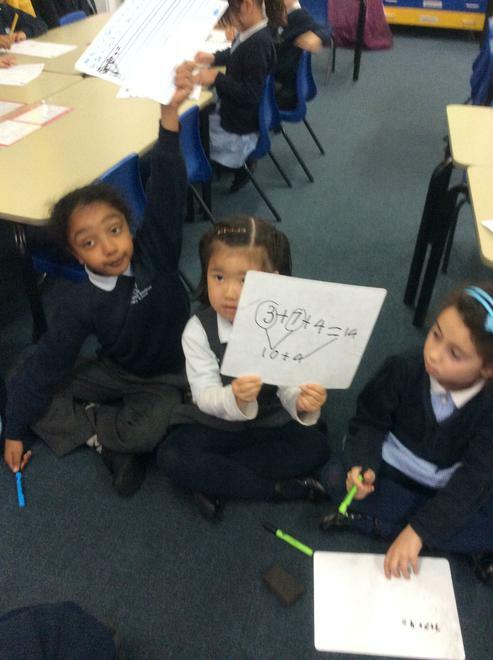 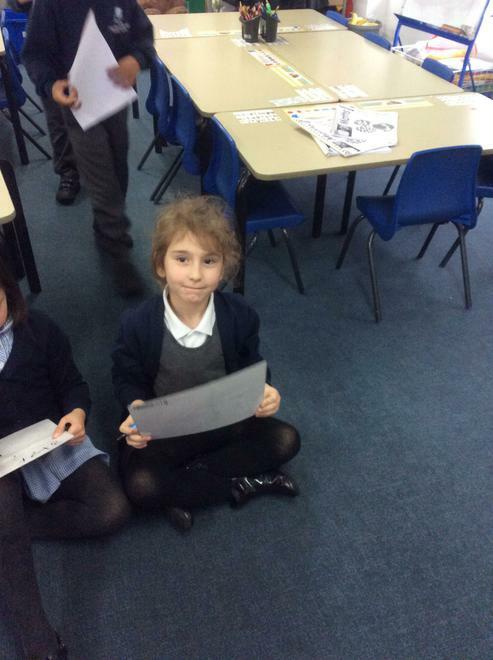 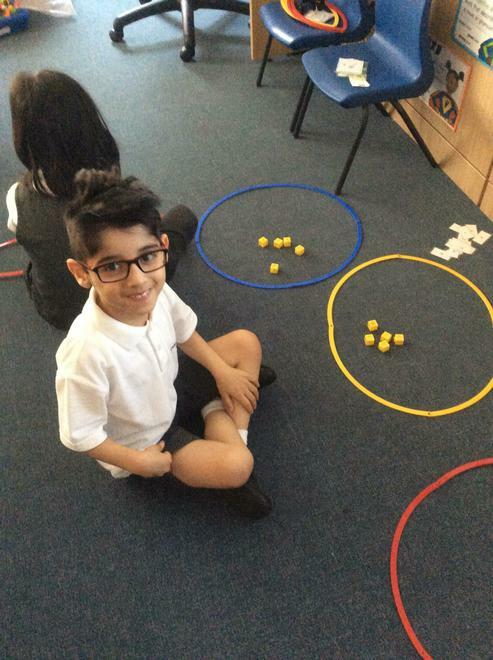 This week we have been learning about how to find a half of a number. 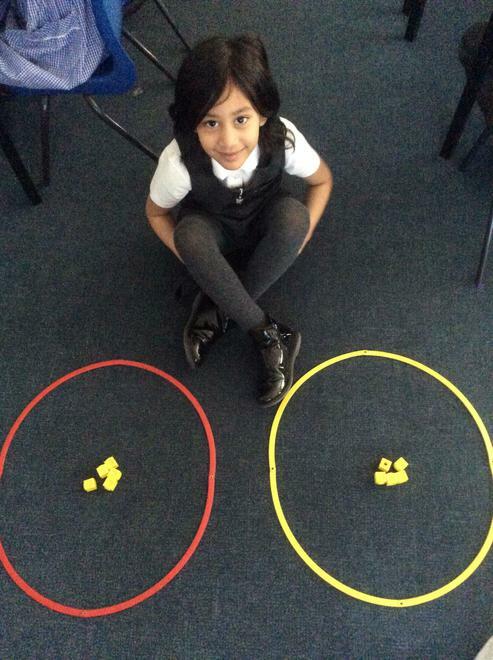 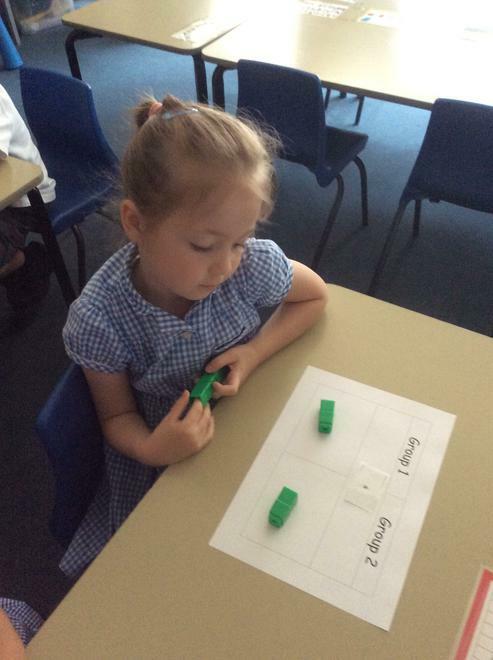 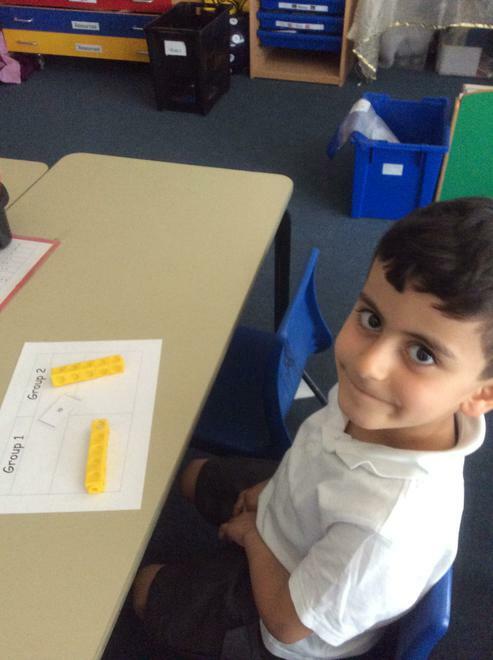 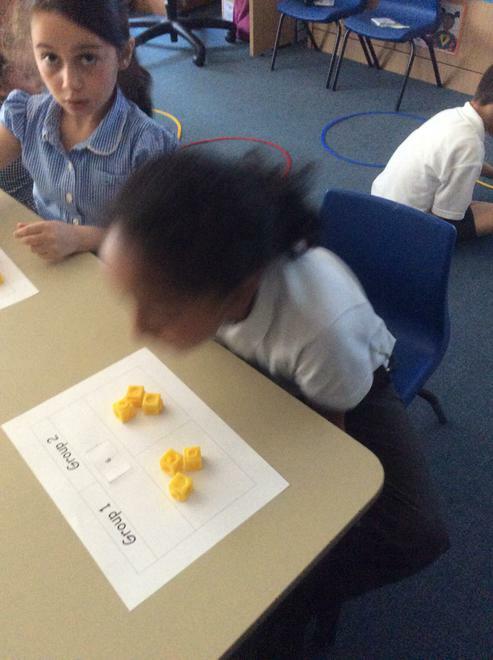 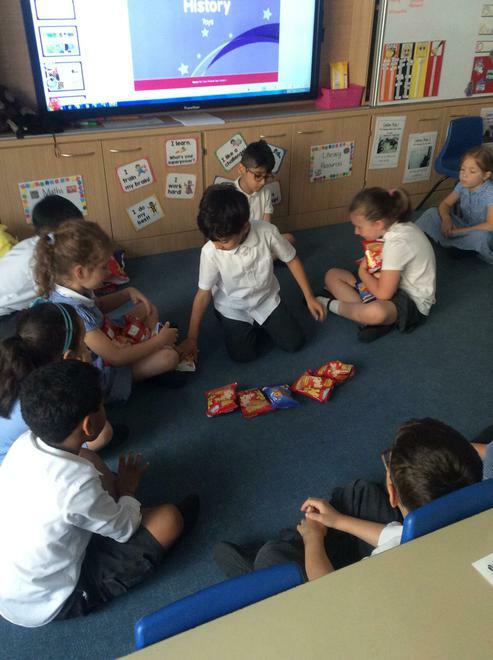 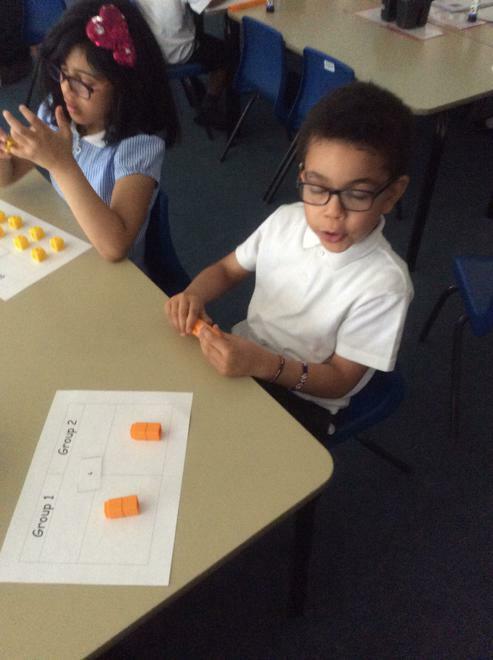 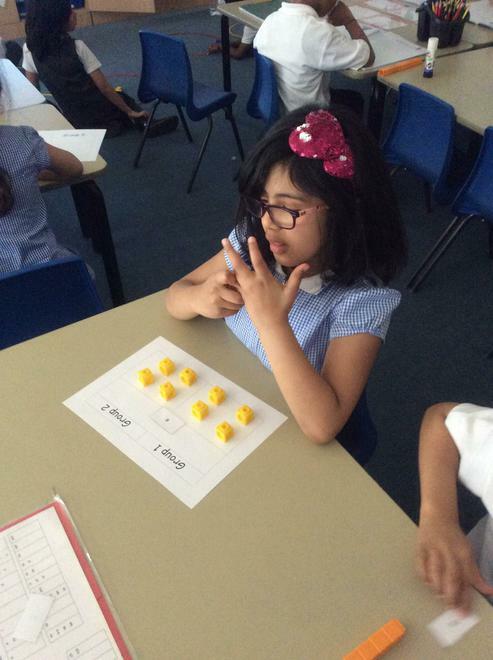 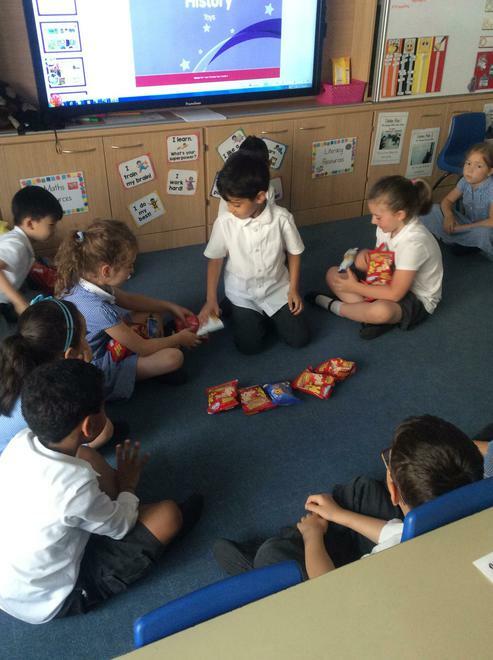 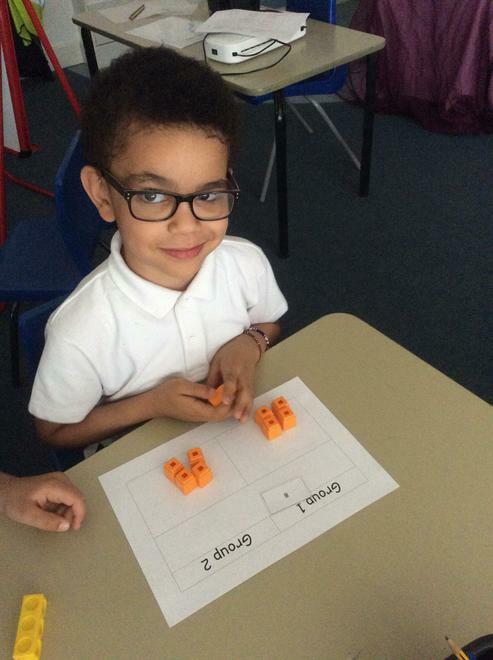 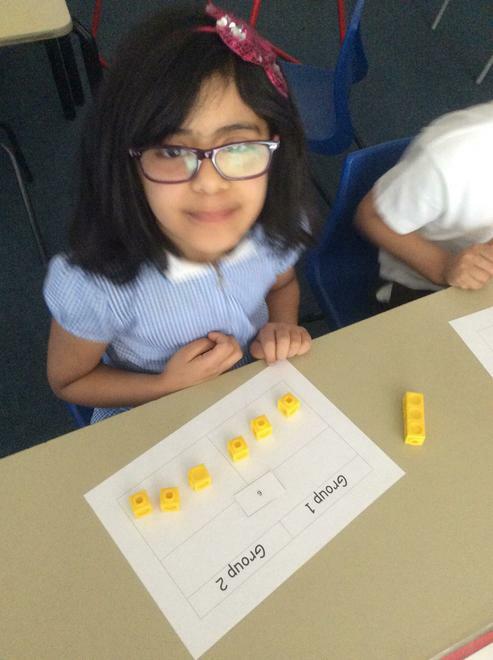 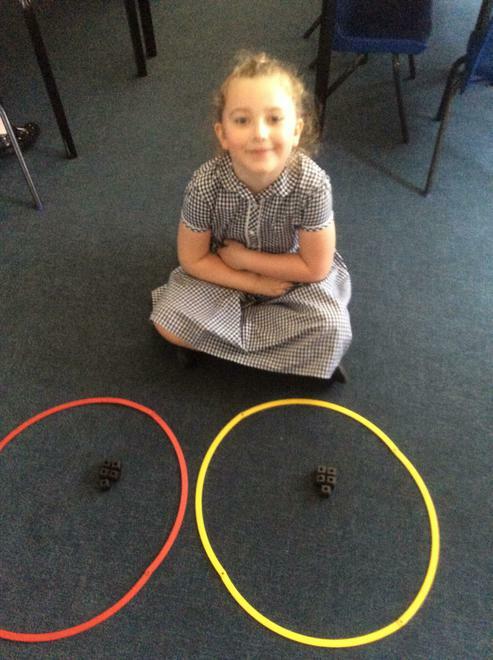 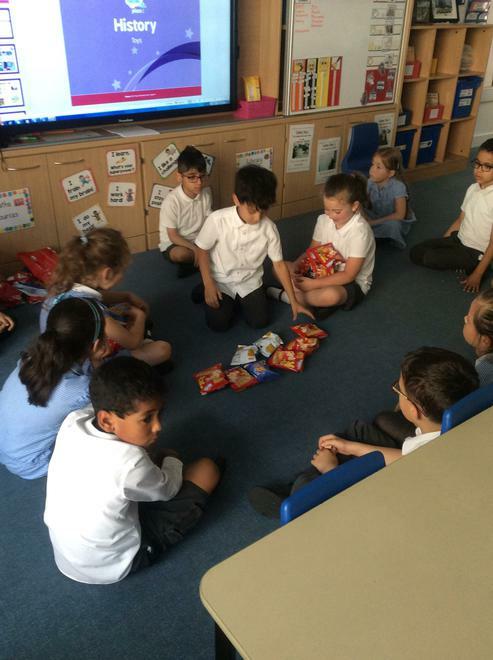 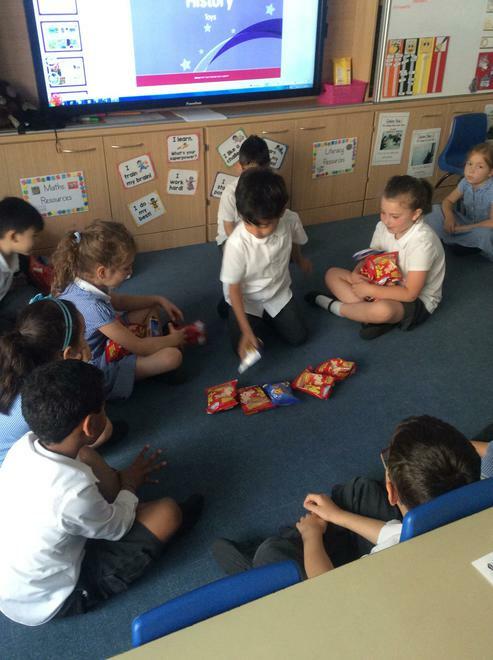 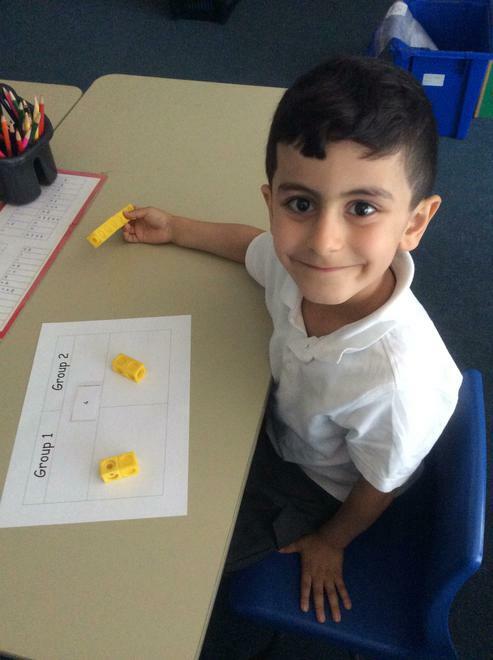 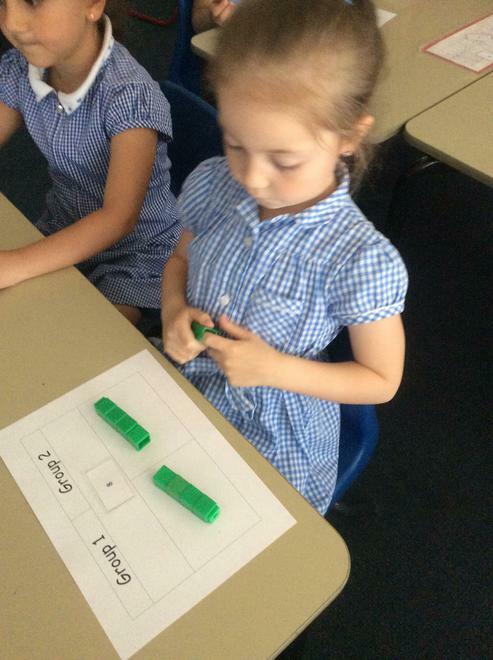 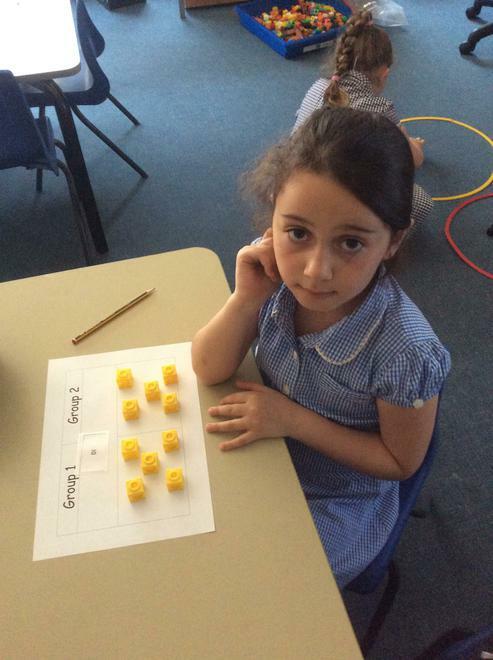 We used to cubes to help us to start to half numbers. 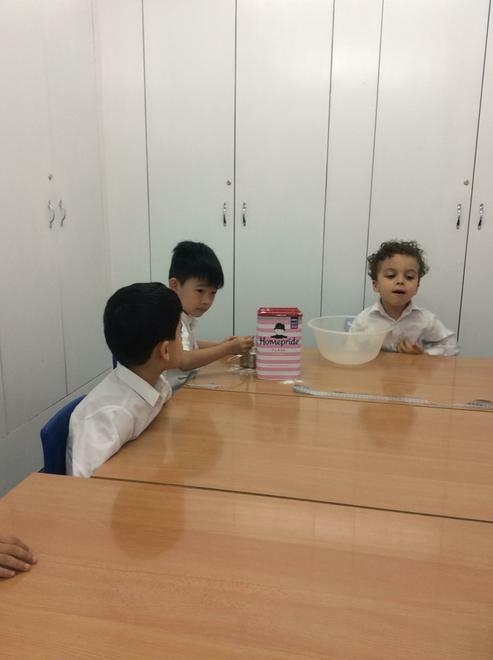 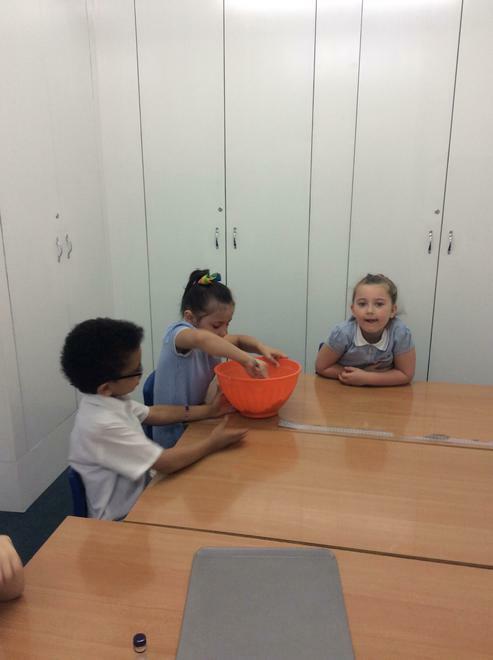 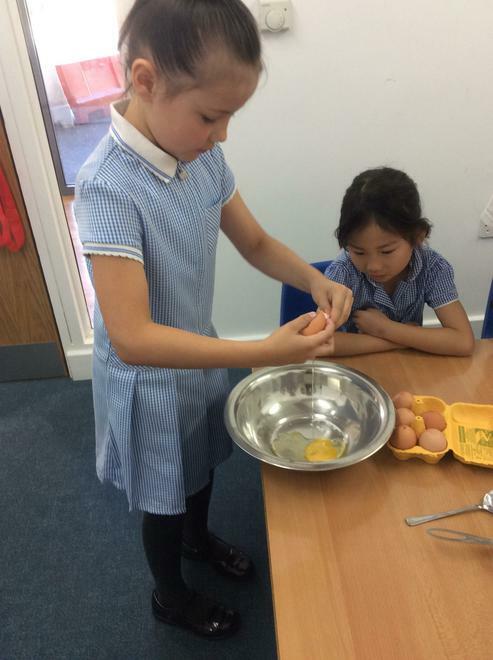 We have been learning about measuring weight this week. 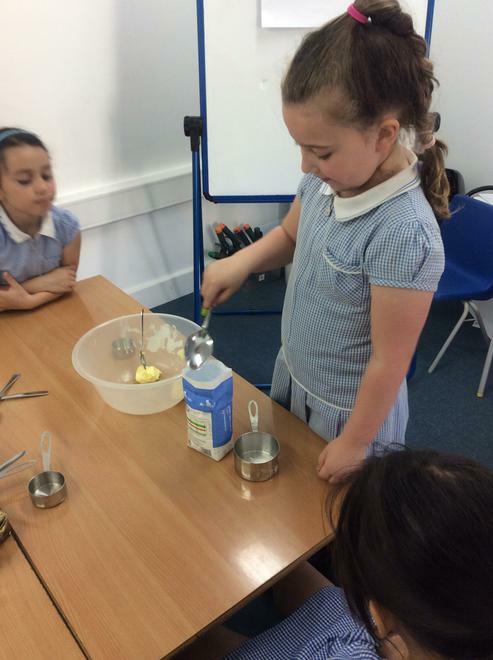 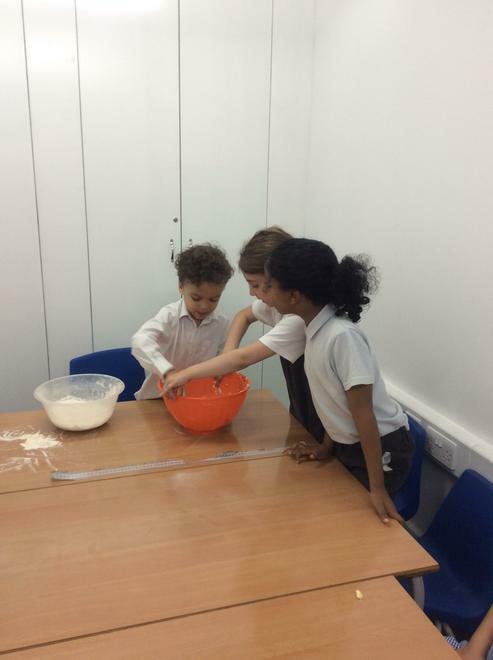 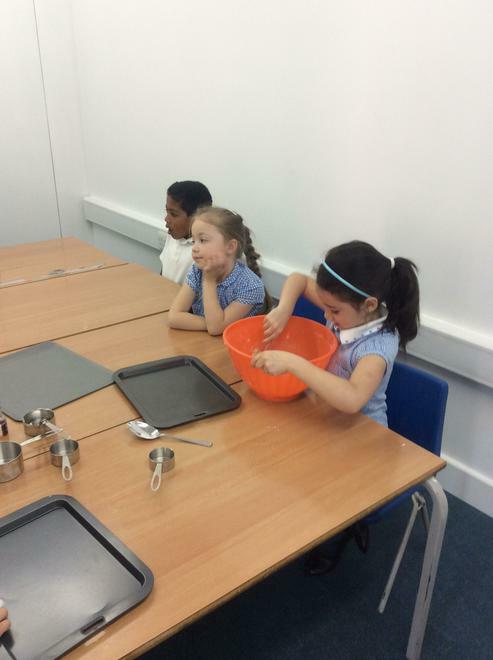 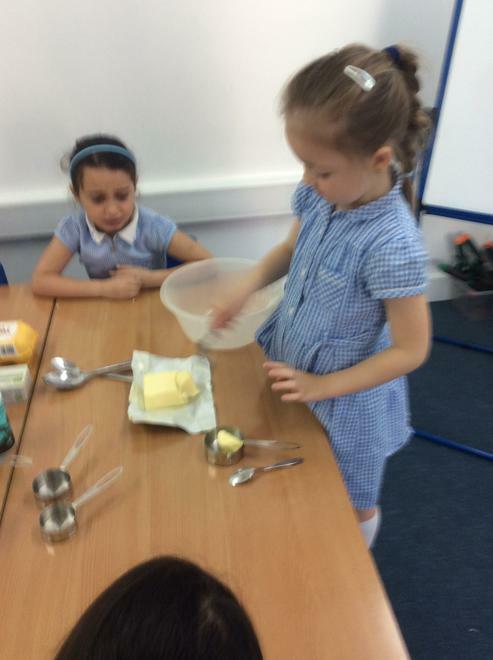 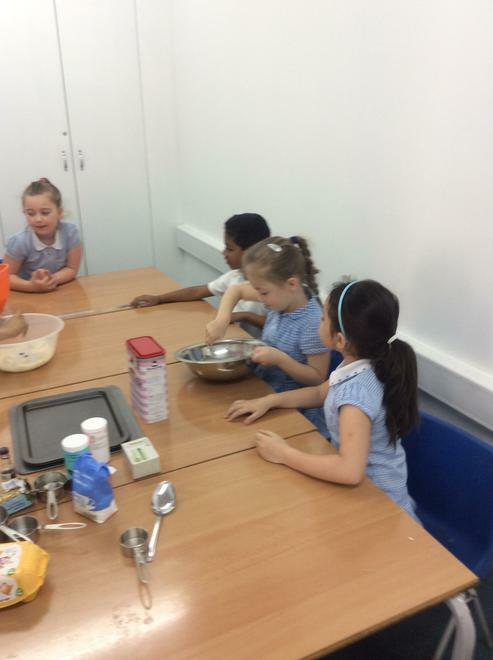 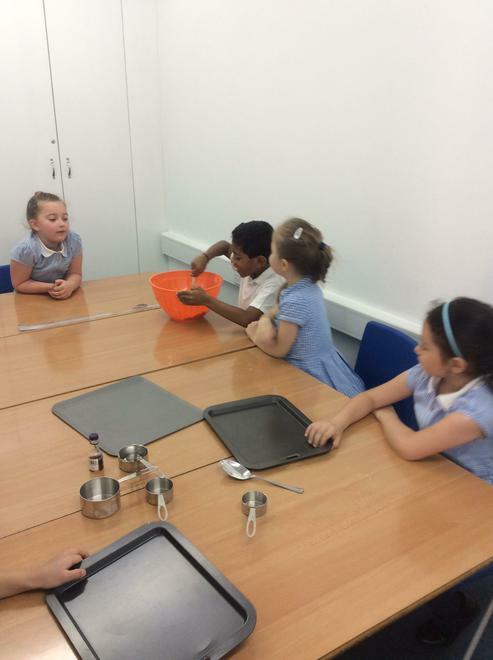 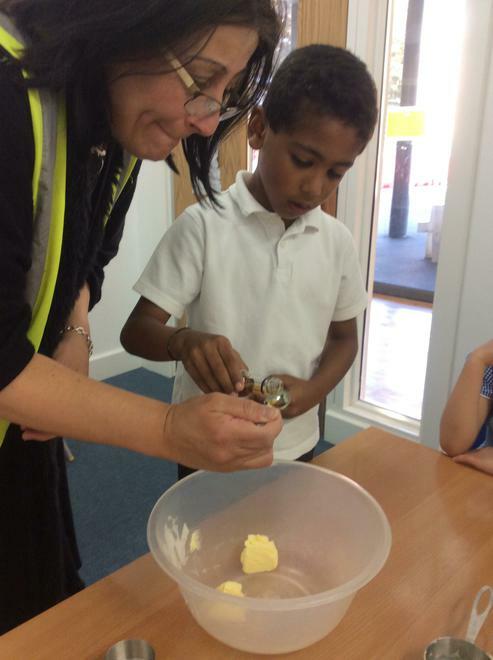 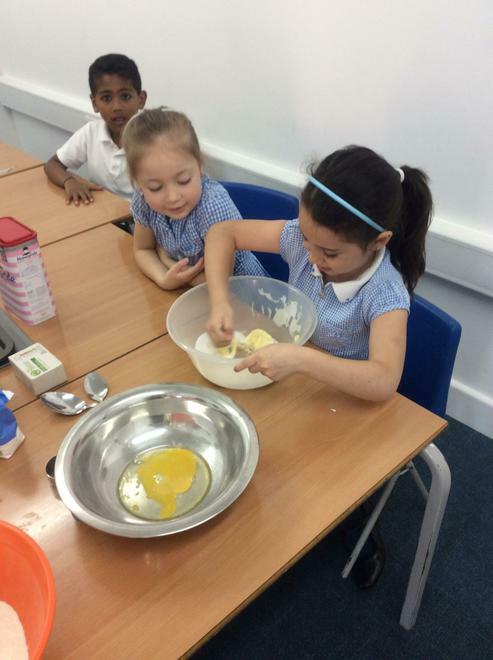 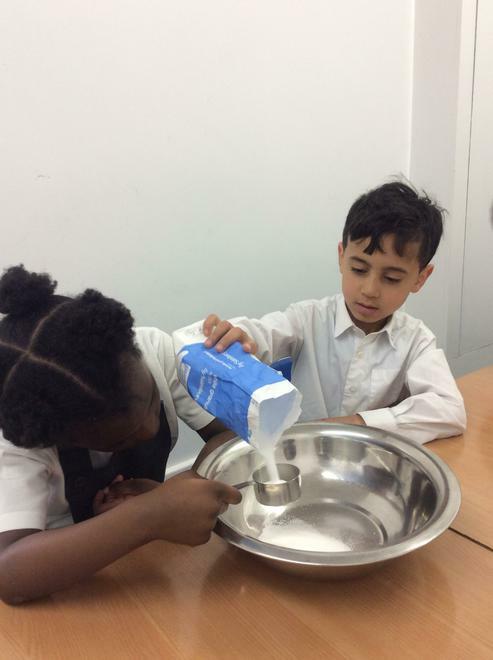 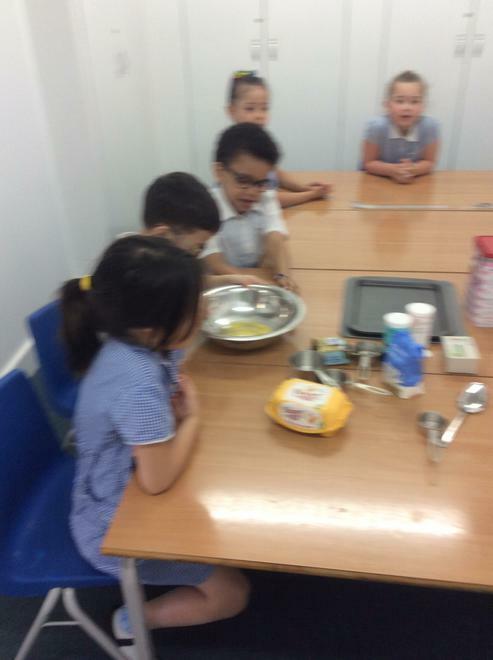 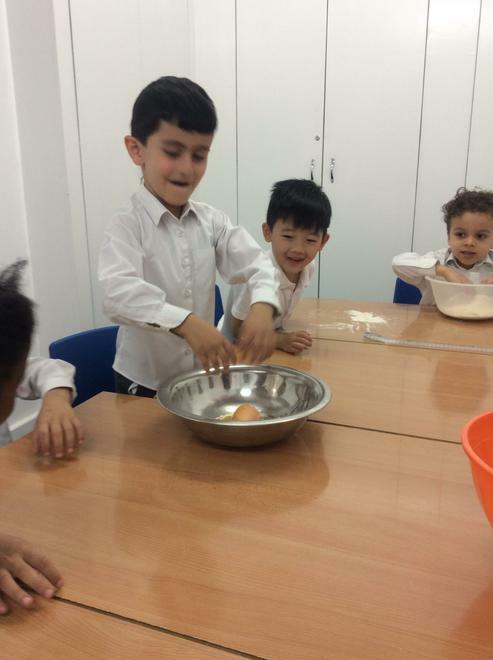 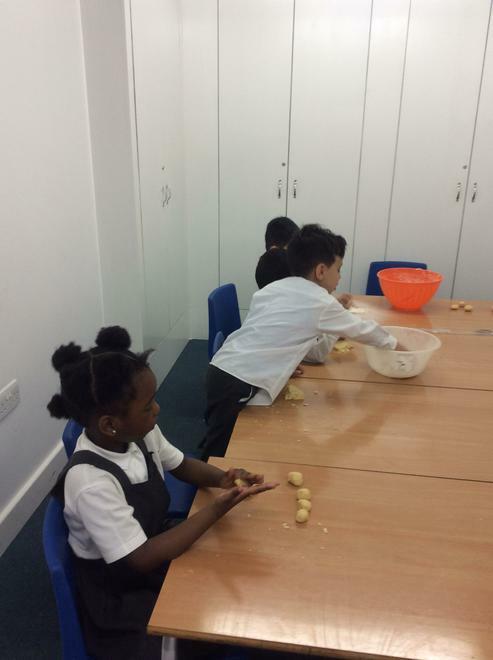 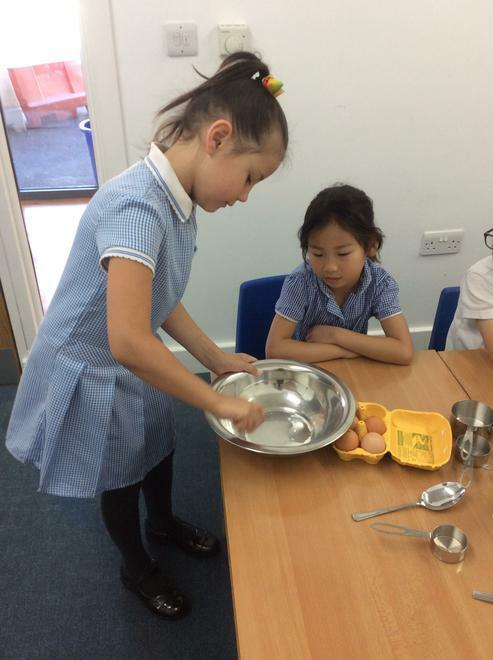 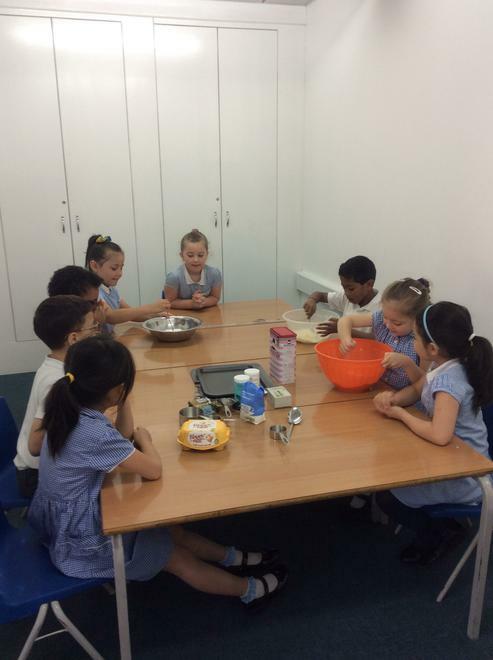 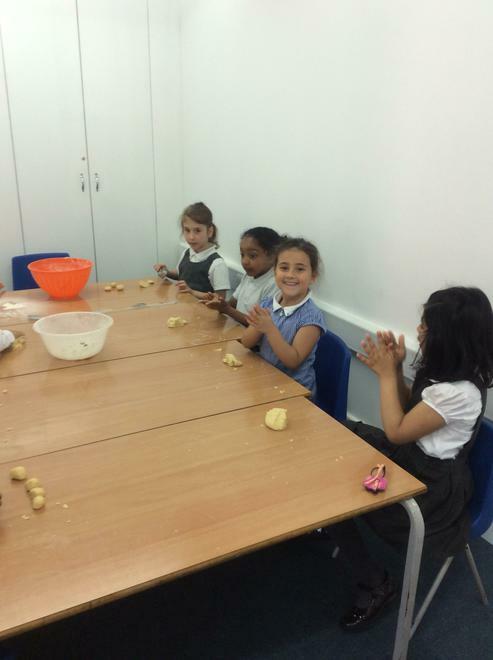 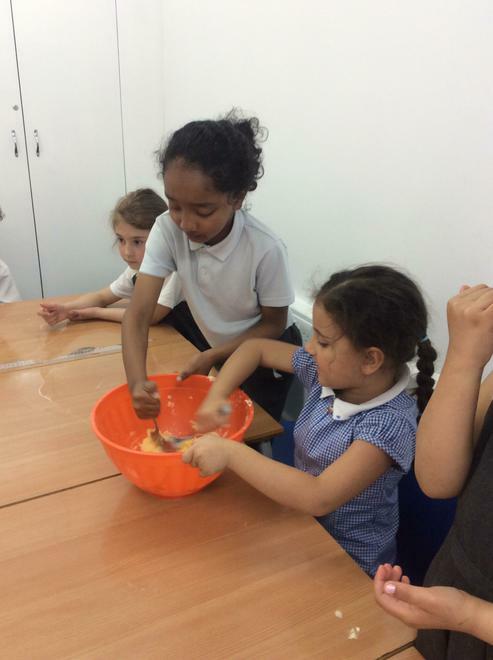 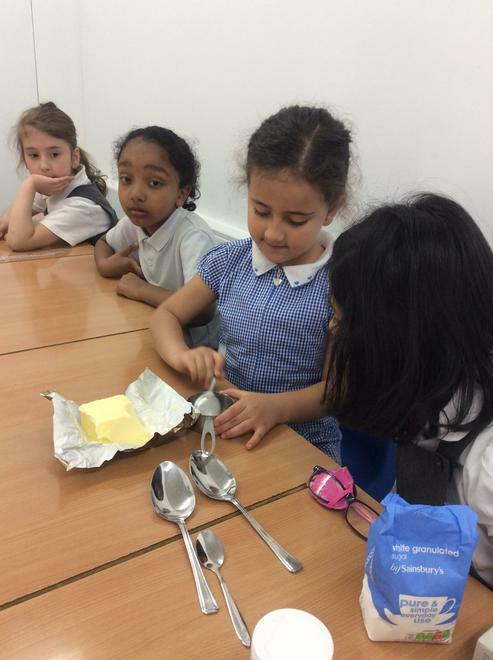 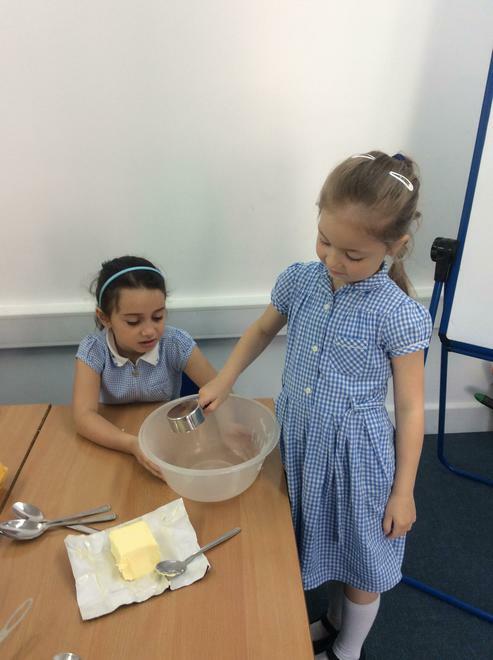 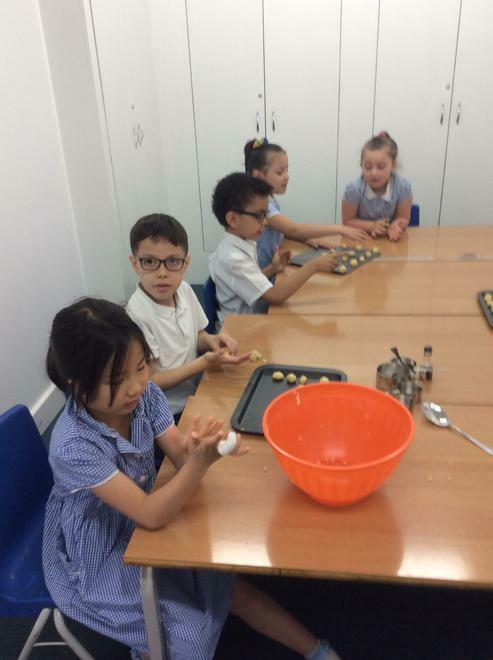 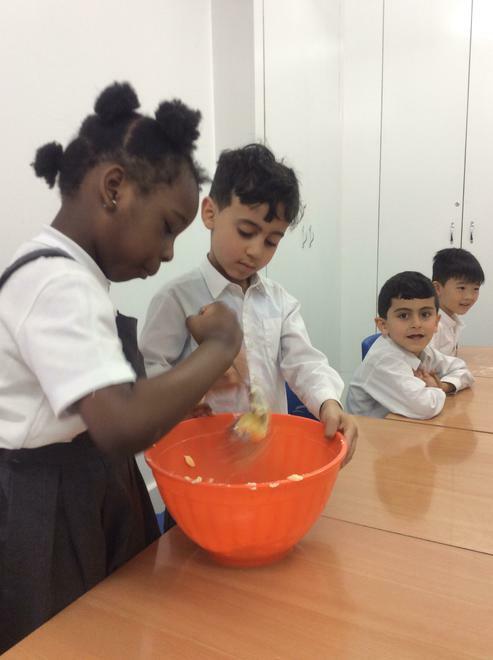 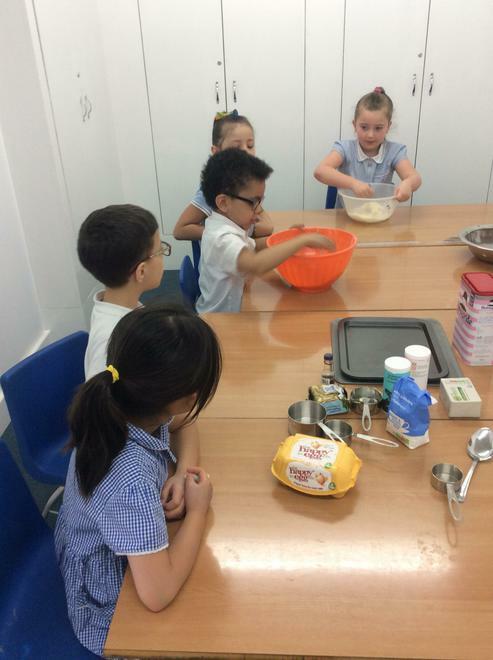 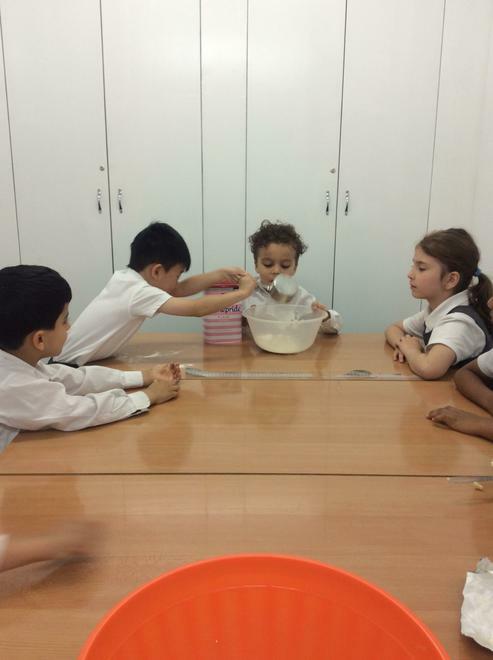 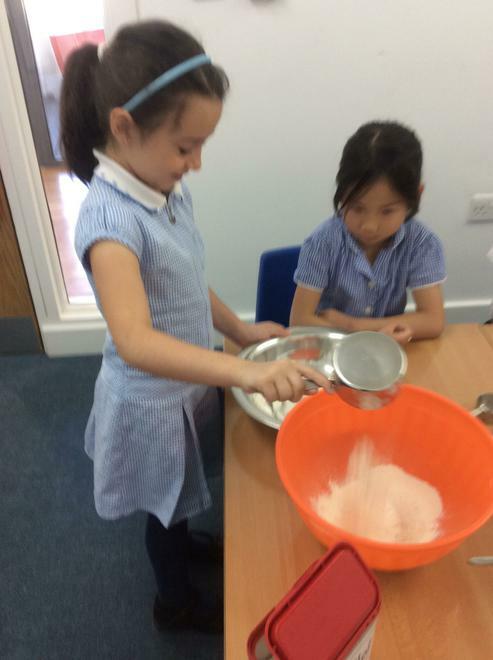 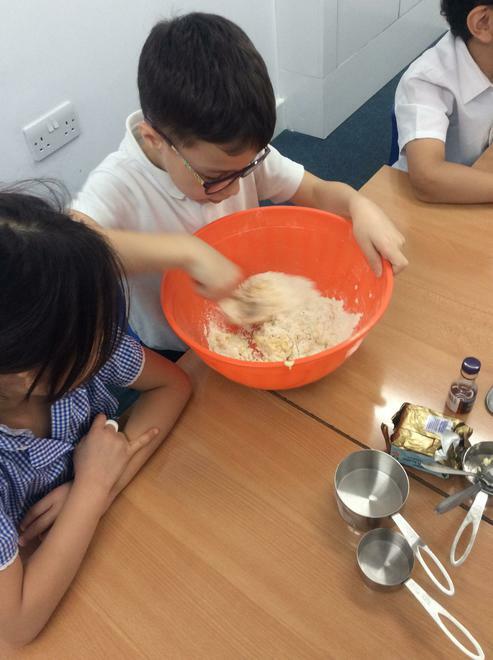 We measured the flour, butter and sugar in cups. 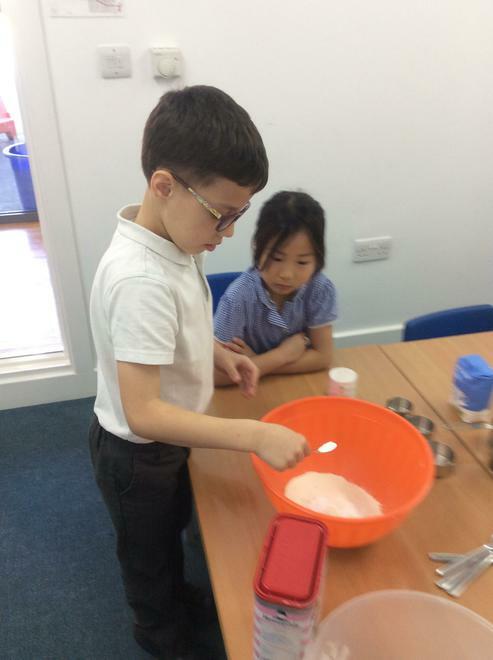 We measured the baking powder and baking soda and vanilla with spoons. 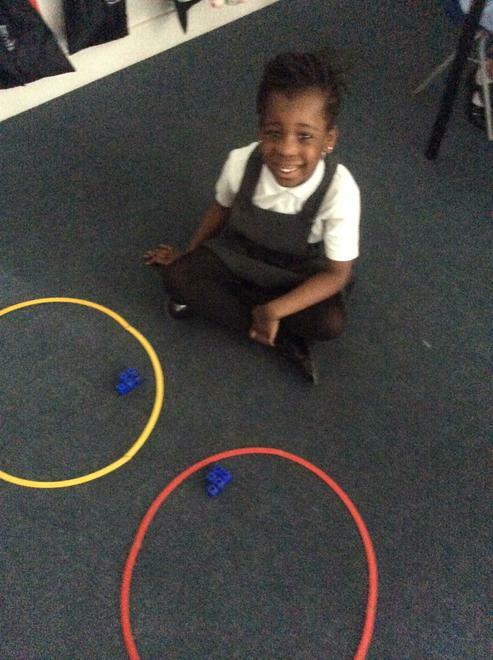 It was so fun fun to roll them out. 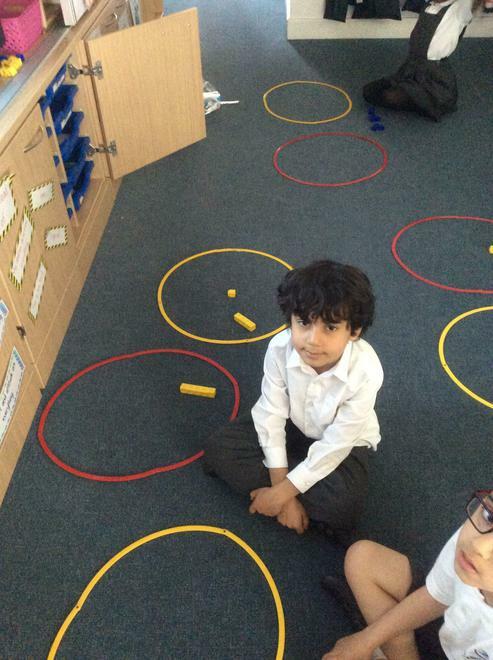 We found it sticky and squishy when rolling. 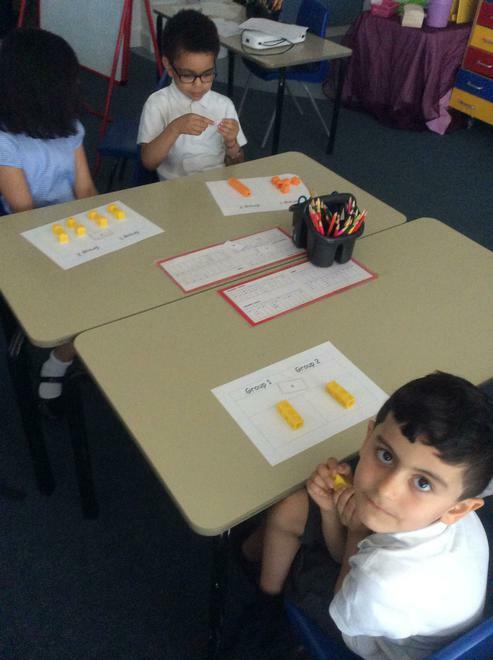 Today we worked on adding 3 numbers together by looking for number bonds to 10. 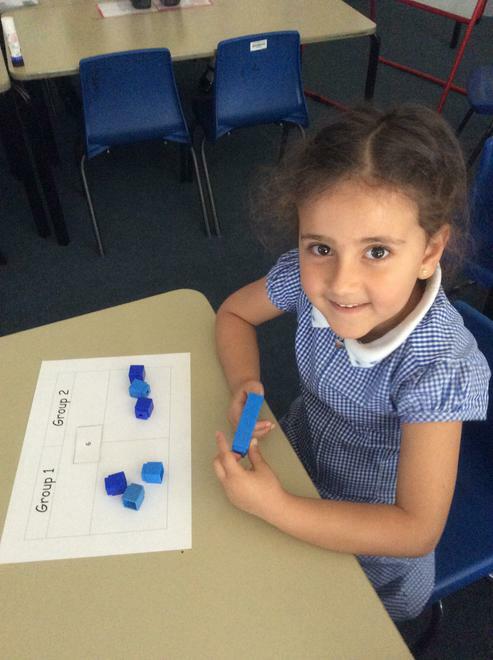 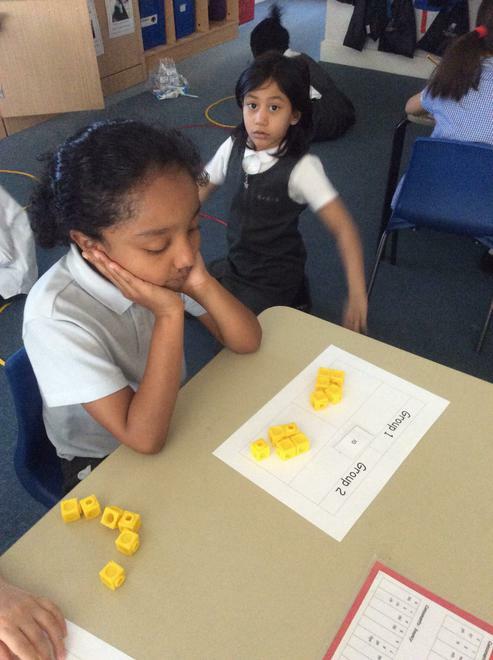 We first used cubes and then worked on whiteboards. 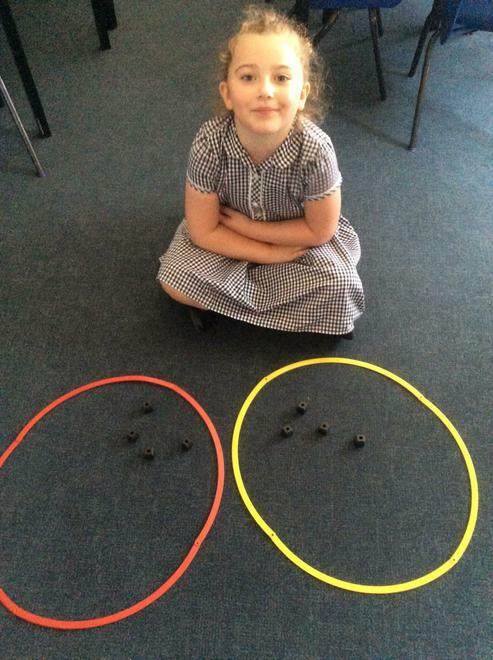 Can you find the number bonds in this?